I can remember taking photos as a young child and the excitement of waiting to see the finished product. That feeling of excitement was echoed years later when I got my first horse. Many years later . . . the excitement for photography and horses is still there. My first “real” camera was my father's old German Werra, a 35mm camera with no meter. I quickly learned to see and gauge light conditions. This camera helped me understand photography in its purest form, the result of light's reaction to film, shutter speeds and focal length. Some of my earliest photos of horses were at the farm where I learned to ride as a teenager. Many were used as tools for students to critique their riding style. I went on to study Animal Husbandry at SUNY Cobleskill, but continued taking photos and eventually learned to use a darkroom. Weekends were spent traveling to local farms and shows to take pictures. After graduating from Cobleskill, I spent a year working on a horse farm but found my photography hobby was turning into a business and decided to pursue it. In 1978 I enrolled in the New England School of Photography in Boston. Although there were not any specific courses for equine photography, I was still able to increase my knowledge of photography and gain the confidence one needs to be a professional. By the early 1980's I was traveling all over the Northeast covering farms and shows and other events (as well as marrying and starting a family). In 1984, shortly after the birth of our first daughter, we moved to the Catskills in upstate New York to a lovely 70 acre farm to raise horses and create a simpler lifestyle for our growing family. In 1988 our second daughter was born, all along my business grew. I was able to have the best of both worlds; a mother able to stay home with my girls and also travel on weekends as an equine photographer when Dad could take over. I often find my own horses to be willing subjects for my photos and often use my farm and horses as my own outdoor studio and models. 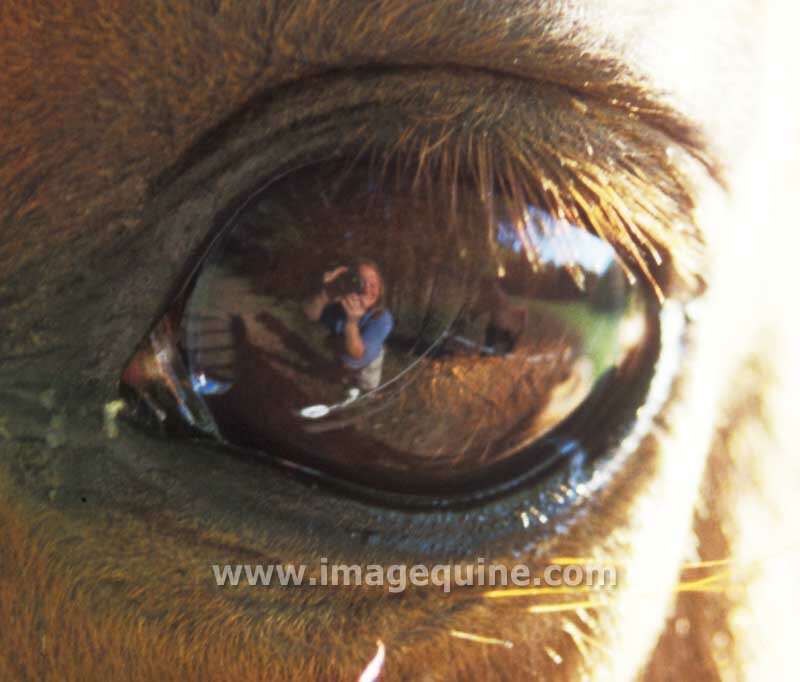 Professional equine photography is not an easy business to stay with and many don't stay around long. But as a horse lover I feel fortunate to be able to document some great horses. There is nothing as thrilling as being center ring with a truly great horse, and I have been lucky to have photographed some of the best: Meredith Bruce, Figure's Erika, *Epizod, Kennebec Count and many more . . . They may pass on but their images survive forever. Just as important to me is to be able to capture someone's first leadline class, first blue ribbon, an exciting victory pass, new foal, old beloved family member or a trail ride you will never forget. Images help bring back memories that can easily be forgotten. As a professional, I travel to farms to help you capture the images to promote your program and I know how important a good photo is. People remember a photo used in a printed ad longer than the text next to it and naturally associate the quality of your business and horses with the quality of the image. The quality of the images you use to promote your farm and horses is what helps people make that decision to contact you. You never get a second chance to make a first impression! Although shows and farm visits are a large part of my business, I also get great satisfaction from creating stock images for publication in magazines, calendars and commercial uses. I have an extensive archive of images available for various licensing usages. Catalog review CD's are available on request. After 25 years of photographing horses I still find new and creative ways to portray these wonderful beasts! I am always seeking new models and subjects to add to my ever growing stock library, please add your name and contact information to my mailing list to be informed of upcoming events and locations that I will be traveling to over the season.